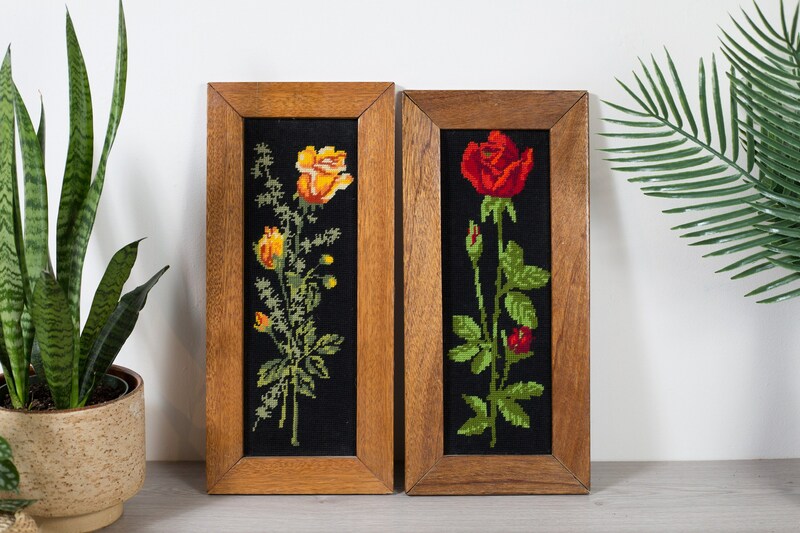 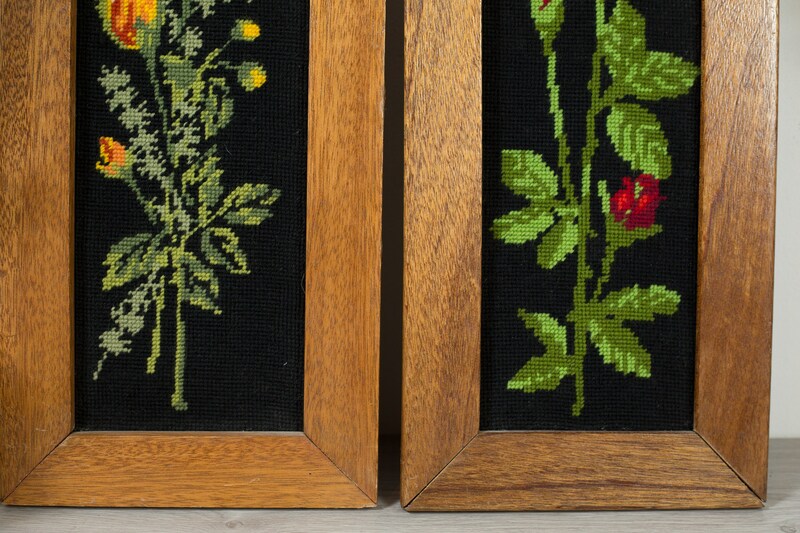 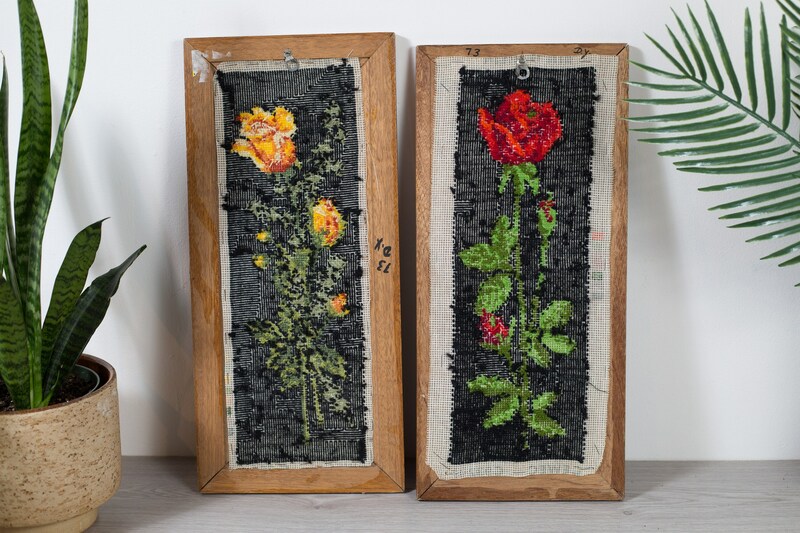 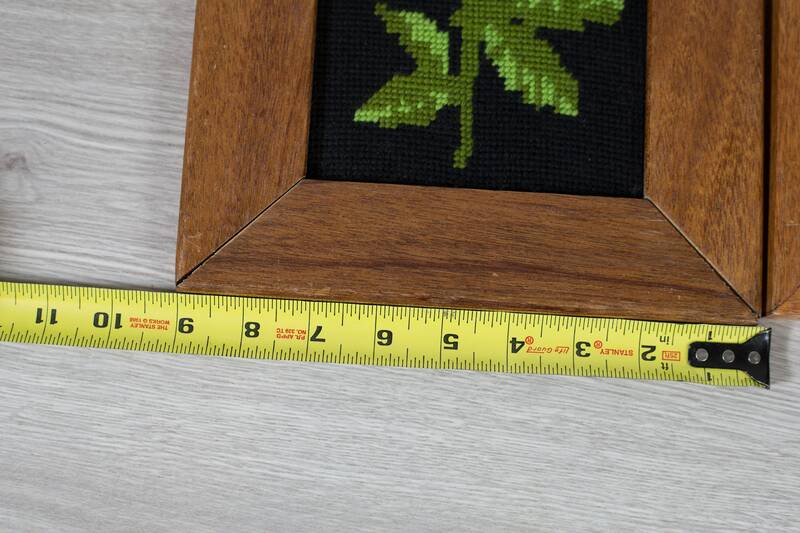 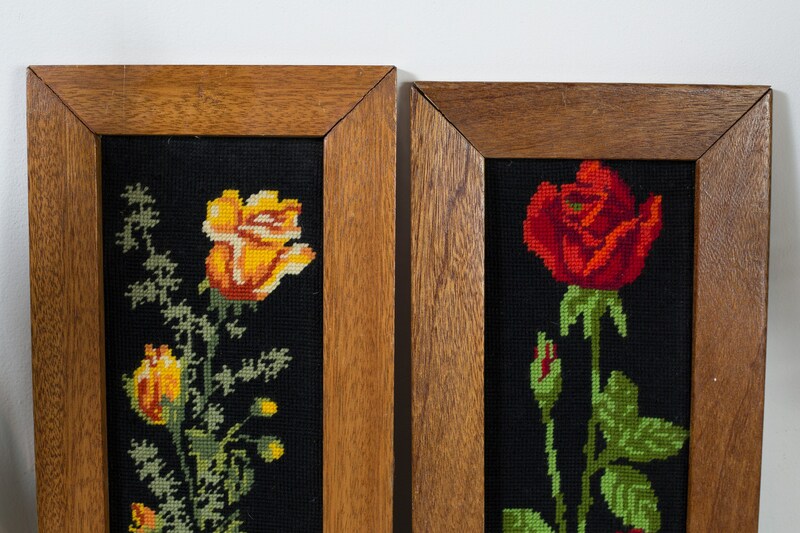 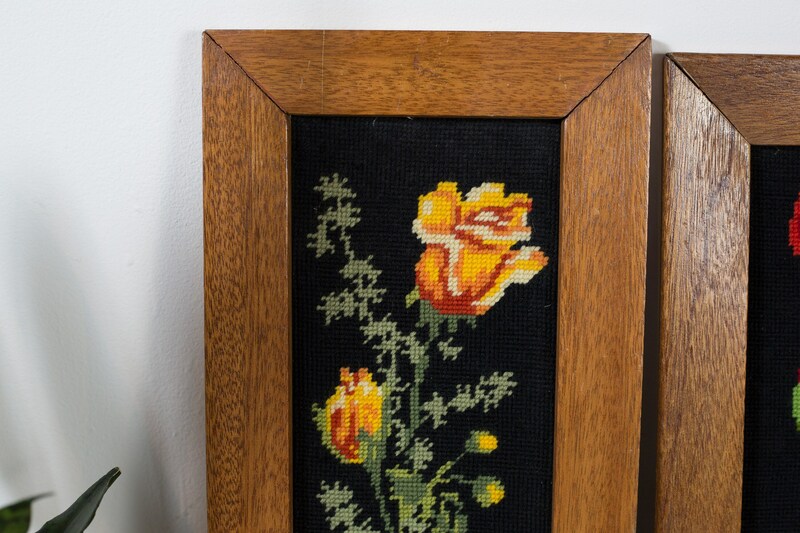 This is a fantastic pair of framed needlepoint/cross stitch artwork of floral arrangements on black backgrounds. 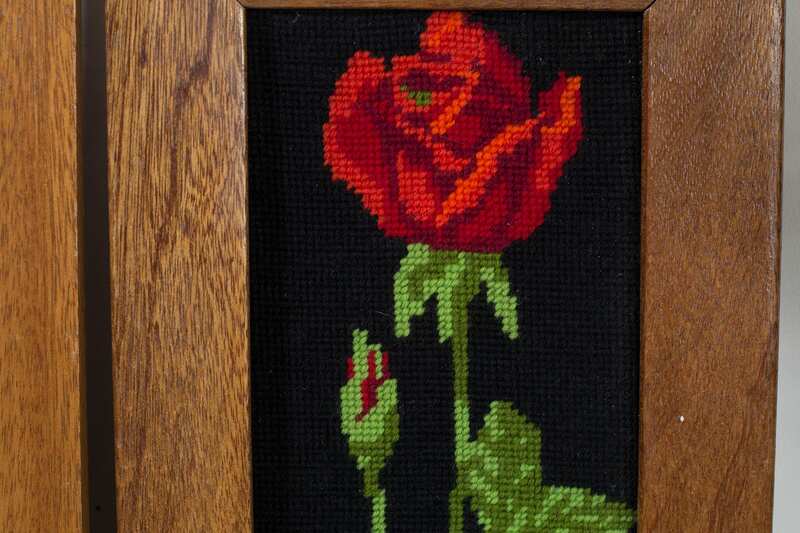 One has orange flowers, the others red roses. 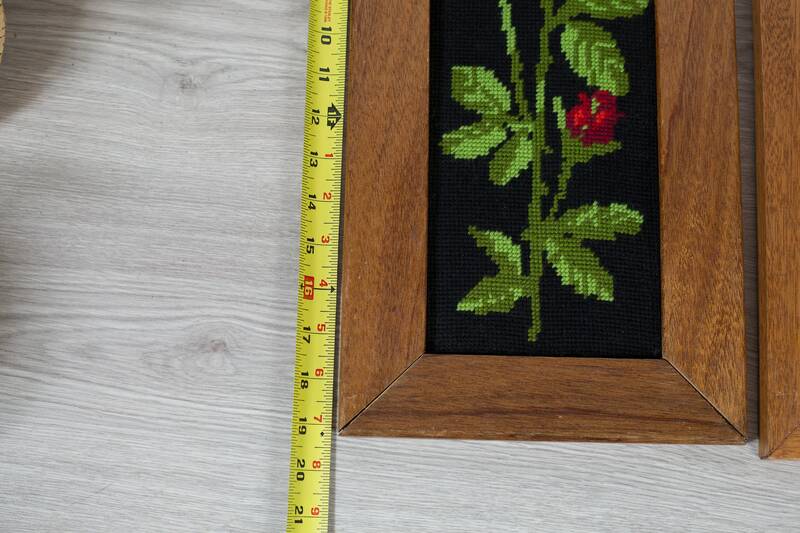 This came fast and in good condition.